Libya might for a long time have been viewed as a troublesome region for western organizations to exchange – yet entryways are presently starting to open for remote organizations, while getting mail and parcels to loved ones parts from somewhere else on the planet has additionally gotten much simpler. That is the reason Courier Force is available to help you get parcels to beneficiaries in Libya quickly and safely, and we have a reach of distinctive alternatives for you to browse. As numerous nations have changed their postal and dispatch services, it has gotten to be continuously less demanding to send a package to Libya, and to discover dispatchs to Libya which can give markdown services which are both solid and productive. What’s more it is presently so natural to send a parcel to Libya and to any nation on the planet because of the web. Courier Force has been made to exploit this development, by offering people and organizations in the INDIA access to rebate global delivery services gave by an assembly of since a long time ago settled and overall regarded delivery organizations, without the need to use hours seeking and analyzings. Here, you can discover a wide decision of organizations offering rebate package delivery to Libya, and can rapidly book an accumulation utilizing mainstream services, for example, TNT Express, and our Express Saver services. 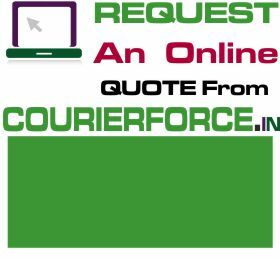 Book your shipment to Libya now with Courier Force. 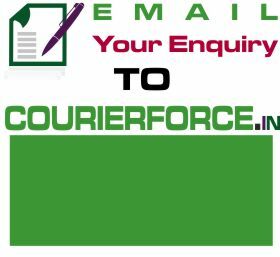 Prices below are door to door courier rates to Libya from Mumbai. These charges are cheapest in India for sending courier to Libya from India. This is by a courier company which is the best in industry for parcel services to Libya . Again, Courier Force is one of the very few companies who have their own network for distributing parcel in Libya . It will take anywhere between 3 and 6 working days to deliver your parcel to Libya from India. We will be simply collecting the parcel from your business or residence in India and delivering it to your destination address in Libya . Duties, taxes and customs charges if any (in Libya) will be additional.